Homeopaths are quick to evoke physics in their defense. I’m guessing they actually believe there is a connection and there is an added bonus of using words like “Newtonian” and “quantum” to add an air of science and respect. Recently a homeopath taught Anthropology students at the University of Toronto that quantum physics could explain homeopathy. I decided to ask Andrew Robinson, PhD, CPhys, MinstP to address this. He is a spectroscopist, nanoscale scientist, instrumentation developer and teaches physics at Carleton University – so yeah, he’s got this. Relativity, where objects travel at very high speed, a significant fraction of the speed of light. 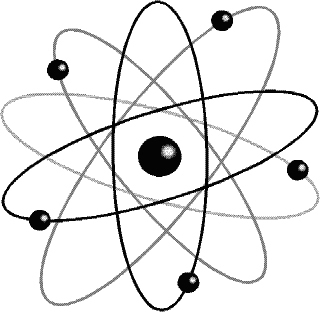 Quantum Physics, where interactions at the atomic and molecular level are completely different from those where we have large collections of atoms and molecules. It is important to know that neither of these new fields invalidates the “classical” physics of Newton. One of the cardinal rules of both quantum physics and relativistic physics is that they must revert back to classical behaviour when looking at large enough or slow enough systems respectively. Quantum physics explains the interaction of light with matter by breaking the wave down into a stream of particles (this is known as wave particle duality). Each of these particles, known as a photon, carries a packet of energy. But these particles also have wavelike properties, (a wavelength) and so when a whole stream of particles acts, it can be through of as a wave. In some branches of physics, such as optics, it is vastly more convenient to describe light as a ray for most of the time, but physicists never overlook the fact that inside that wave description, there is a stream of particles. Quantum physics or quantum mechanics? Quantum physics is really a description of what happens when a single photon hits a single atom. It can be extended to a few photons hitting a few atoms, but once a large number of atoms are involved, it becomes a “classical” physics system. The rules of quantum physics are known as quantum mechanics. They are mentally challenging to grasp, and to apply, because they are often counterintuitive. However, they work! Our modern world is full of quantum systems which we have built because of our understanding of quantum mechanics. Lasers, solar cells, the transistor and modern silicon chips are all possible because of it. According to homeopathic postulates medicine becomes MORE effective the more it is diluted. That’s clearly counterintuitive. In fact, the levels of dilution used in homeopathy mean that given the small quantities of original substance, there is essentially nothing left after it has been diluted many times. Anyone with some basic knowledge of chemistry can demonstrate that very handily. Practitioners of homeopathy then say that the diluted fluid is “retaining a memory” of the space originally occupied by the substance. This violates the third law of thermodynamics – Disorder tends to a maximum. No controlled scientific experiment has found evidence of any type of “molecular” memory in solvents such as water. They just do not retain that level of order. In fact, the established scientific model, is that the atoms and molecules in a liquid are moving with essentially random motion. This is known as Brownian motion, and Einstein was the first person to describe this in a mathematical manner. Quantum physics as far from homeopathic medicines as you can get – a homeopathic medicine is a liquid, and not a suitable candidate system for the application of quantum mechanics. Statistical thermodynamics, which is an offshoot of classical mechanics is the tool of choice for a physicist in those cases. Invoking mysterious “quantum” effects, without any proof of their existence and ignoring the colossal body of scientific evidence against homeopathic effects, is simply not good science. The sceptical and inquiring mind must be satisfied at some point, that they simply will not fit in with established scientific knowledge. Any good scientist will acknowledge that there are still large gaps in our knowledge in some areas, such as gravitational waves, dark energy, and dark matter. But we do have a good enough knowledge of the working of the universe to rule out homeopathic medicine as having any effect, other than as a placebo. A “balanced” view is not necessary in this case. The scientific case is utterly overwhelming. So there you have it. Homeopathy is quantum snake oil. The foundation of homeopathy violates the third law of thermodynamics. By evoking quantum mechanics homeopaths are actually demonstrating how little they know. This knowledge deficit is not surprising given the small amount of physics homeopaths must learn (and no, that clearly doesn’t make their knowledge stronger). In Ontario, Canada homeopaths spend 4 days a month in class and their diploma takes three years. In my first year of university (undergraduate) I spent 4.5 days a week in classes. In addition, every one of my professors had a PhD. When a homeopath uses quantum mechanics incorrectly – when that information actually exists in a syllabus in a University level course – it is embarrassing and insulting to the Department of Physics as well as the entire faculty and student body. Failure of the University of Toronto to address this concern only compounds these issues. The President, Vice President and Provost should care that they paid someone to incorrectly teach the laws of physics, unless of course they really wanted to add some balance to the second law of thermodynamics. An earlier version incorrectly stated that homeopathy violates the 2nd law of thermodynamics, it actually violates the 3rd. The fact that only a PhD in physics caught that typo is further proof that only those with degrees in the field really understand it! Seriously, though; an excellent description of why quantum mechanics has nothing whatsoever to do with homoeopathy. Clearly, trying to use it so it just “blinding with science” to produce explanations where none exist. Confuse the masses so they give there power away there power to take responsability for there helth instead of giving it to the docters who dont make money off of healthy people most of the drugs they prescribe are toxic this artical says nothing !! But a bunch of mumbo jumbo i belive in scince and i belive in nstural medicens eating healthy and exercise if someone is unwilling to change the things that make them sick there is no pill that will fix him !! Science believe on the experimented results, Every day thousands of patients are being treated and getting cure by homoeopathy through out the world even incurable cases with enough proof, Therefore it is the ignorance and the disability of the scientist, and if an impotent scientist don’t know the mechanism of homoeopathic medicine, then it is the weakness of that scientific world not the homoeopaathic medicine system,Therefore it is a request to the scientific world please try to find out the truth may be beyond your limited knowledge. My husband is a chemist and he applauds your comments. Keep it up! I’m aware you changed it to the third law already from the second, but I can’t see how the third law is relevant? It’s dubious that the second is as well, although obviously I think homeopathy is bunkum. You’re right. The 3rd obviously isn’t relevant and the correction – the renumbering – was a mistake. But the 2nd law (more clearly and correctly explained here: http://www.ucl.ac.uk/~ucesjph/reality/entropy/text.html than in most textbooks) isn’t very relevant either. What really kills water memory as an anyway partial and flimsy excuse for homeopathy is the molecular dynamics – the fact that it takes only femtoseconds to forget. Water might surprise you. Large scale Brownian motion occurs but that doesn’t overcome the surface tension of water in all of it’s phases. Water is a polar molecule that can change bonding angles. It can form fractal seeds as in ice with highly regular bonds. It also forms spheres of water arranged at between nanometer and micrometer scales which behave like molecular ball bearings. These spheres can change property based on scale and temperature and the boundary conditions of hydrophobic or hydrophilic surfaces to become liquid crystal phase denser than bulk water. To think we understand how water behaves as an information storage medium is laughable but the idea itself is not implausible. I think both laws are relevant, actually, because they both describe how we quantify disorder in a system. And systems tend towards disorder at any finite temperature! Even if the memory effect is true, what exactly does this water do once inside the body and presumably inside the cells? How does the memory effect work? @KORHOMME It almost certainly does nothing of course – for a start it’s (presumably) no more immune to dilution than an ordinary solute – and BJ did acknowledge that even if some kind of water memory did exist, it’d still not make homeopathy seem remotely plausible. Beautifully written, Dr. Gunter. Would you mind if I posted it on my blog, translated in greek? Go right ahead! Please link back. This is bs you come off like natural cures are snake oil! your disinformatiin and the way you present it sounds so tecnical but what your realy saying is nothing ! !a bunch of filler and big words to try and decive people into thinking your smart and you know what your talking about when you dont do some real research like testing instead of geting your info off of government sponserd websites ! I know that would take work and time !!! The “big” words are not big to people with PhDs in physics, and that is exactly the point. Homeopaths shouldn’t be using words that they don’t understand and don’t know how to use. Giving people the truth and explanations by experts isn’t deceiving them, it’s giving information. You have come off like a troll who didn’t read anything beyond the first line or two. My boyfriend couldn’t understand why I would be against homeopathy when I use some essential oils myself. I had to explain that oils are considered a “natural” remedy and that homeopathy is a separate category. And by all the “scientific” processes things need in order to be considered homeopathic it’s obvious it’s anything but natural. It also does nothing, so there’s that. At least I can show him my orange oil cuts through the bacon grease on the stove! 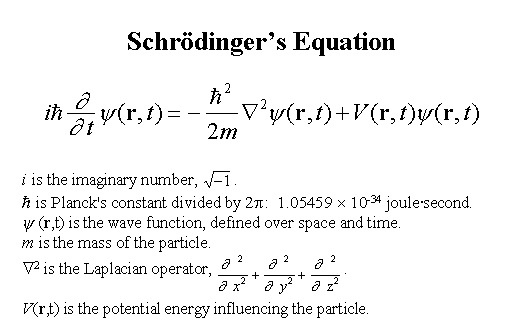 I recently tried to write a description of quantum physics–as it relates to wave/particle duality–for the lay reader, and kept getting stumped as to how to make it accurate, yet pithy. I tip my hat to you, Doctor, your description is beautifully elegant. Very well-done! I plan on stealing this post every time I have a patient who insists on the scientific validity of homeopathy. I don’t care if they drink the stuff by the liter if it makes them feel better. I draw the line when they offend my scientific sensibilities. Keep after ’em, Dr. Jen! I’m currently polishing a book I’ve been working on for about five years (tentative title, “Caring for Your Body from the Outside In”) aimed at giving patients a basic understanding of the way their bodies work so that they can make better life choices and communicate more effectively with physicians. I include homeopathy in a discussion of the placebo effect. Would you be willing to skim it and make a pre-publication comment if you think it’s on the right track? FYI, I have a Ph.D. in human anatomy and spent thirty years doing biomedical research and teaching medical students. children and animals know little of placebo or of quantum physics, yet they respond to homoeopathy. You see it and believe it… or not … it still works. No they don’t respond to homeopathy, no one does. Ah but they do and Homeopathic medicine has demonstrated effect on plants, cells, body tissue and months after being taken – how is that placebo effect? Can you also come up with a theory if nothing responds to Homeopathy why it is that MD’s and hospitals practice it, particularly in Europe; some medical schools and universities teach it and some Governments include it in State medical systems. Could someone give me a short “explain it like I’m five”-version of the why homeopathy can’t be explained by quantum mechanics? Because I’m too much of a non-scientist to really be able to defend myself against pseudoscientists with the link to the 3rd law of thermodynamics only. Thank you! If anything, QM does the opposite – e.g. by explaining how stable atoms can exist at all and thereby indirectly but strongly supporting simple atom-counting based dismissals of [the absurdity of] homeopathy. BTW, as has been pointed out in earlier comments, the 3rd law is irrelevant, and the statement of the 3rd law in the article is wrong anyway (it is in fact a poor statement of the 2nd law!). Unfortunately, the author(s) don’t seem to be inclined to acknowledge and correct errors. Quantum mechanics basically deals with energy/matter states and interactions at the atomic and sub-atomic levels of matter. That’s pretty doggone small, Lena! Quantum mechanics has to do with (gives mathematical expressions for) the probabilities of electron orbitals and energy states. The formulas used are statistical (probabilistic). When you’re dealing with highly diluted solutions, these formulas simply don’t apply to anything related to causing a chemical reaction or healing an illness. As has been suggested, the main “benefit” from homeopathy would be the placebo effect (thinking you’ll get better can actually help you get better). Prior to the mid-twentieth century, when poisons such as mercury and sulfur were used to treat disease, and when blood-letting was a common medical practice, homeopathy may well have offered better outcomes than “official” medical practices. By providing no medicine (just water), the patient’s body could heal itself without toxic medical intervention. Frequency, vibration, energy, same thing and as science advances the role it plays in the human organism will be better understood. This is the level at which Homeopathic medicine operates. The fact that modern science medicine is trapped in a mechanistic materialist reductionistic mindset slows down the evolution of the scientific system of enquiry. Can you come up with a theory as to how ‘thinking you’ll get better’ would apply to plants, cells, body tissue, babies, unconscious animals and humans and months after being taken as happens with demonstrated effect from Homeopathic medicine? And why would Homeopathic medicine work as effectively on those who are convinced it cannot work as it does on those who are convinced it can? The fact that science does not yet understand how Homeopathy might work is irrelevant in regard to its use where the only important factor is cure, and that has been demonstrated for more than two centuries. Quantum physics and biophysics are both more likely to offer insight into how Homeopathic medicine works than other fields of materialist reductionist science, but, until the answers are there, people sensibly will continue to make use of a brilliant and inspired and advanced then and now, medical modality in the form of Homeopathy. plants, cells, body tissue, unconscious animals and humans and months after being taken. That paper is an absolute delight! If I was slightly surprised to find the feline implications, this was more than counterbalanced by the reference to Bond J. No, there are NO controlled, replied studies that show a positive effect of homeopathy on plants, cells, body tissue, babies, animals. There is plenty of bad studies, unverified, without proper blind design, that shows these effects. The effect evaporates when the study is independently repeated. Frequency, vibration, energy are simply other pseudoscientific words used out of context. What is the”frequency” of an homeopatic remedy? Could you detect whether a vial contains pure water or a dynamized homeopathic remedy by looking at its frequency? If you can, we can arrange a test. What I said was, studies which demonstrate effect, positive or negative, on plants, cells, body tissue, animals and yes there are. Are you seriously suggesting, as one vet who has practised Homeopathy for more than 40 years said, that he would not have been found out if he was fraudulent? And, as he said, the animals he gets are lost causes for conventional veterinary medicine and when he cures them, that is a demonstrable result. Only a fool or a bigot would say it was not. And only an idiot would suggest that Homeopathy practised in hospitals and by MD’s around the world, taught in medical schools and universities and included by Governments in State medical systems could be fraudulent when we all know that given the controversy surrounding it, none of it could or would happen if they did not have comprehensive research which satisfied the doubters and their legal teams. The fact that you have not studied such research or are incapable of doing so objectively is utterly irrelevant. Frequency, vibration, energy are all terms used in conventional science. I suggest you research their definitions. Nothing pseudoscientific about them although I could agree that much of conventional science is very, very pseudo when it comes to things which cannot be crushed into the limited belief system on which it stands. frequency definition. In physics, the number of crests of a wave that move past a given point in a given unit of time. The most common unit of frequency is the hertz (Hz), corresponding to one crest per second. Energy definition. In physics, the ability to do work. Objects can have energy by virtue of their motion (kinetic energy), by virtue of their position (potential energy), or by virtue of their mass (see E = mc2). So, you believe these terms are pseudoscientific? Interesting. Just in case you decide it might help you to do some research before taking a position on anything, including Homeopathy.